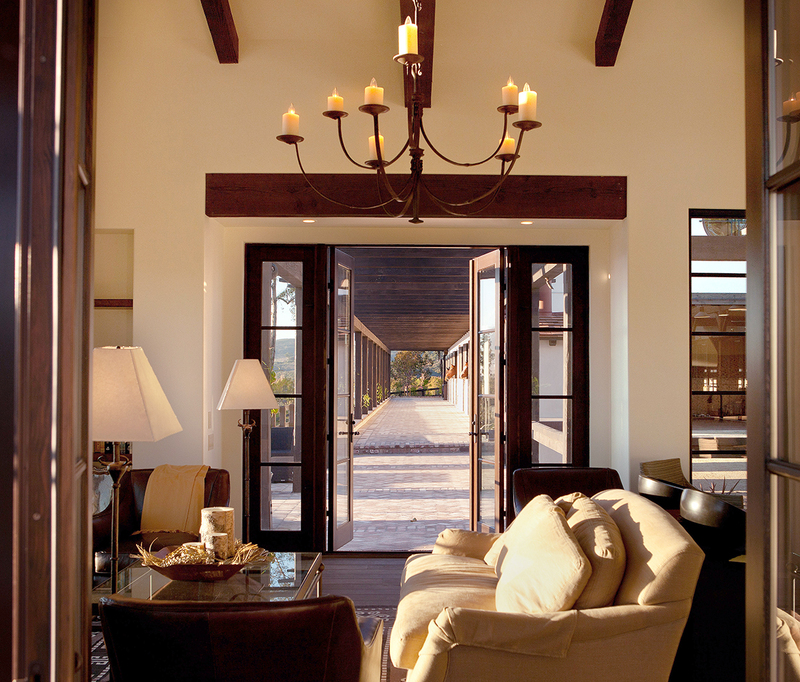 Design Guidance on Adding Living Quarters to Your Horse Barn - Blackburn Architects, P.C. : Blackburn Architects, P.C. Blackburn Architects typically advises clients against including living quarters in a barn. When we add them, we provide extra safety measures. An apartment or condo in the barn isn’t the same thing as short-term accommodations. We’ll often design a “warm room” into our barns so clients can stay close in case there’s a sick horse or for foaling. Even though technology provides some good methods to provide warning or protection (alarms, cameras, etc.) there are times when you just need to be close to respond quickly. 1. If the residential component is too large, then the change of scale can overshadow the scale of the barn and you end up with a “tail wagging the dog” situation. Aesthetically the design looks awkward. 2. If the residence will house a family, you run the risk of injury to children, pets, or visitors and there’s an increased risk of fire caused by household activities. 3. If the apartment or condo is for the owner it’s easier to control but if it’s for a groom or an income rental it’s important to be prepared that lifestyle choices may clash with your own. For example, the tenant may be entertaining guests who may be unaware of the impact of their activities on the horses. Because a barn usually has a lower cost per square foot (to design and build) than a residence, you may be able to save money by separating the two different uses and avoid building in the necessary fire and smoke separations. For example, the barn could be a simple pole barn and the residence constructed to a higher standard. Another option is to build the apartment or residence as part of a service /storage structure or another farm building. Two examples of Blackburn Architects’ projects where we did this are Great Roads Farm in New Jersey and Kindle Hill Farm in Pennsylvania. To conclude, without building in substantial fire/smoke separations when adding an apartment in the barn you increase your risk of disaster. Building codes in most areas require you to include a two-hour separation. It’s essential that you check these regulations before planning an apartment in your barn. Furthermore, an apartment in a barn or connected to it can impact the farm by forcing a larger footprint for the barn, and this can impact service roads, lead paths to paddocks, land grading, etc. If the apt is added to the second “loft” floor unless it is designed properly it could negatively impact the introduction of natural light and ventilation (see Bernoulli principle and chimney effect).